Hokuto ga Gotoku is releasing March 8. Does anybody plan to import/purchase day one? Re: Anybody planning to import? I may or may not decide to import it as there's a chance it may not head to the US at all. But with all the games I'm getting this year I may hold off for a bit until we hear more news. @Everyone's Idol wrote: But with all the games I'm getting this year I may hold off for a bit until we hear more news. This is how I currently feel... but that may change on release tbh. I'm not too sure, honestly. I have only ever imported games from Play-Asia. Their prices seem to be very similar to the games sold in Australia, around $100 AUD. They are selling a premium edition of the game for $130 AUD. Not sure right now. If it won't be localized i will definitely import it because like all of you i really want to play it. I hope they will localize Yakuza Kiwami 2 too. I know there are certain people who will cover the game so I probably will watch it for a while when it is out and see how I feel then. Don't know much about the game. 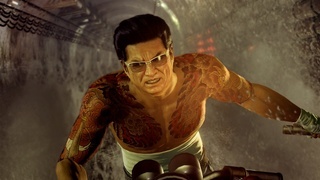 The last game I played with language barrier was Yakuza Kiwami 2 because I already knew the Story from the Yakuza 2 original. Can't say if I would be able to understand everything in Hokuto ga Gotoku so I will wait and see if we get it localized. Even though I fully expect this game to be localized at some point, I will be importing it. I loved what I played from the demo and I want to play the full game now lol. Yes pre-order since the announce ! Ataaaaa !